The TV show Six Feet Under aired their final episode. Even ten years later, with a multitude of shows that have since ended, I still believe that Six Feet Under has one of the best ever endings to a show. The show was uniquely placed to create an amazing ending because it was a show about a funeral home and it had a certain style, each episode began with a death and the show was essentially about the funeral of that person. I’ve never seen anything like it, and I’m not sure we will ever see anything like it again. If you never saw it or you want to revisit it, here is a link to the youtube video. I do warn you, BYO tissues, even if you don’t know these characters.. it is so sad and yet beautiful at the same time. I’ve never seen it. I’ll add it to my download list. I think it was the last US tv drama I watched. I did not realise such good tv could be made in the US. No, just remembered a later one, starring Australian Kerry Armstrong with her character having a severe multiple split personality. US TV has come a long, long way. There is now so much great television that some people feel like there is *too* much. And they might be right! Certainly the TV there is presently a lot better than many of the movies coming from the US. I think my favourite character from Six Feet Under was David and certainly that show kicked off my fan appreciation for Michael C Hall. He was fantastic in Dexter as well, especially the first two seasons. Yes, of course. Toni Collette. 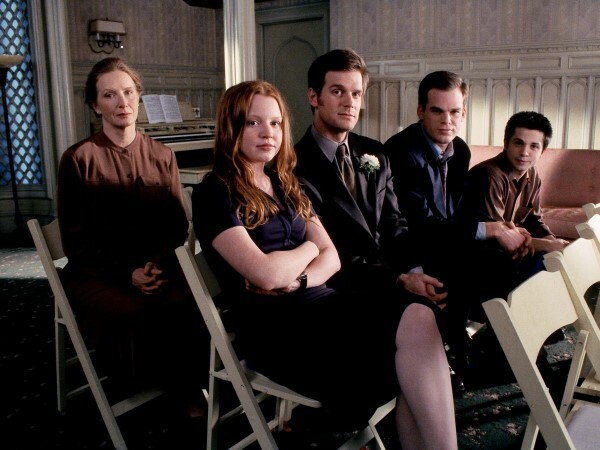 It seems so long ago since Six Feet Under and I can’t remember the characters very well. I’ve never seen it, I asked my daughter if she had the dvds and she said no, so I forgot about it. if the series is based on a book, I’d be more likely to read that. I would probably love it, but have never seen it, since it was on a premium channel here.